Outrageous. This is more expensive than the Conrad minibar! They're only ¥1,800 tax included. Following daizawaguys lead trekked down to the Nakameguro Donki. 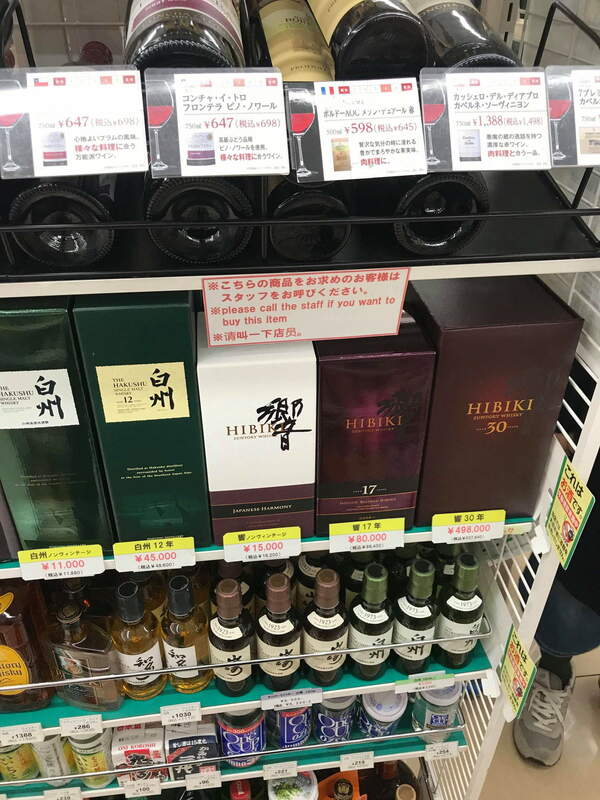 It’s quite a ways from the station (maybe 10-15 minutes) but if you make the long trip down there you’ll find quite a selection of Suntory and Nikkas, though again at substantial markups. (They had the Nikka Miyagikyo Manzanilla edition, among others.) So again, if you’re looking to pay retail, this is not your place; but if you’re tired of hunting with nothing to show for it, you will find quite a variety there. And plus there’s all kind of interesting restaurants in the area. Tokyu Department store in Shibuya had NAS Hakushu and Hibiki today in stock. The randomness of these deliveries perplexes me to no end. invalyd, daizawaguy and 7473chad like this. Did someone say you need a Tokyu store-branded credit cards to buy those whisky at Tokyu Shibuya?? You don’t say. Price gauging there fo’shure. I think most of aged Japanese whiskies are now dried out. Harder than ever to find them at retail prices now. I am pretty much giving up getting them at retail. All the efforts and train rides add the cost to it. I guess I will start enjoying what I got and stop the hunt! Been on the hunt since early 2015..! Was at Haneda week and did not get bother looking at the duty free whiskey as I knew what it would be like. Perhaps off topic but I am in Taiwan right now and the hotel I am staying in has a large whiskey store (almost museum like) with more Japanese whisky than I have ever seen in my life. Debating buying some Ichiro double malt which I can never find in Japan. They have scads of it here. Where is that in Taiwan? I will be there next month! Would like to check it out! Hotel Kuva Chateau in Zhongli area. it’s about 10 minutes walk from A21 station on airport MTR Huanbei station. basically opposite direction from airport than Taipei, but not along ride from airport. Found this video. Pm me if you need more. Prices are not cheap, but selection...wow and I mean WOW. roberto99, joejones, IndyHoosier and 2 others like this. Hahaha, that's so funny! Can't believe 7-11 can jack up prices!!?? I mean the MSRP for Yamazaki NAS 180ml is like Y1200. Just wow!! Note that the increased price tags use a different style than the others such as Chita.